The fundamental disparity in making investments in the US stock market can be found in the large difference difference between an underlying profitability of firms and their stock market valuation. 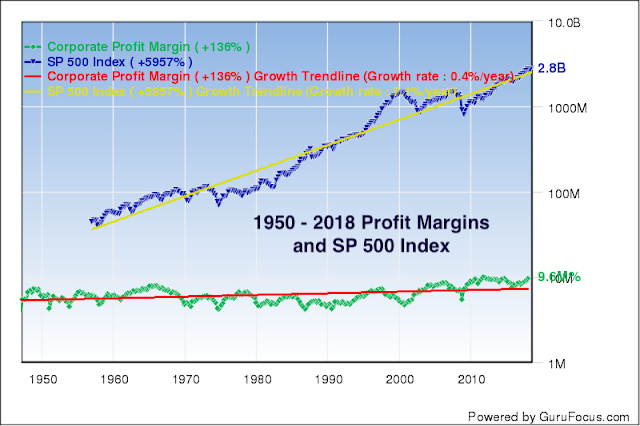 Whereas corporate profit margins from 1950 through 2018 gave grown by +136%, or only at a rate of 0.4% per year, the stock market prices as measured by the S&P 500 Index has meanwhile gained +5,957%, at growth rate of 74% per year. Consequently, the US stock market is vastly overpriced, with Price/Earnings (P/E) ratios that are unsustainable, though rising prices make trading more attractive to investors seeking large gains. Even though the 2000 and 2006 recessions made temporary corrections in the long term P/E ratio, the post-recession corporate profit margins benefited from injections in cash through Quantitative Easing (QE), which is essentially a method for relying on debt to support the rise in market prices. 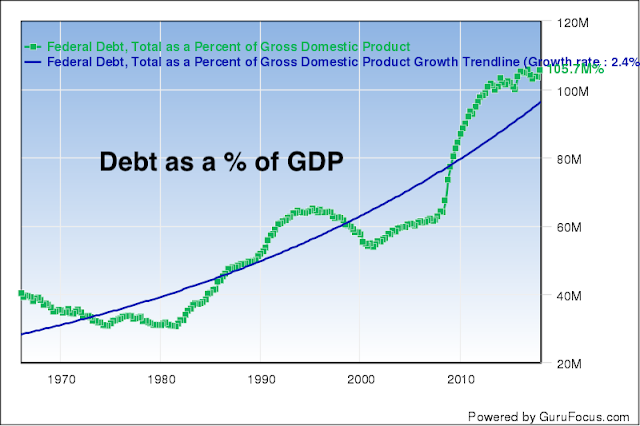 US debt as a share of the GDP has been steadily rising since 1970 at a 2.4% yearly rate. Corporate profit margins, which are the foundation of all stock prices, show increases of only 0.4%. 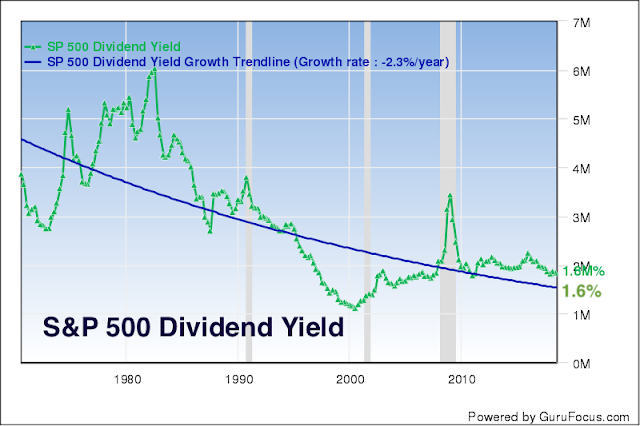 That calls for increased the dependency by investors to make gains through rising stock market prices. 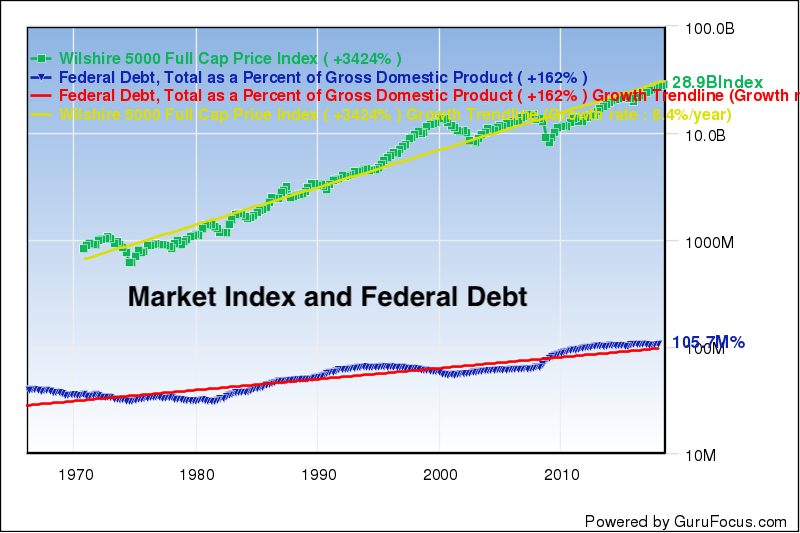 The market is then artificially stimulated though injections of debt instead of depending on a rise in the profitability of the enterprise earnings that generate wealth. Debt then has become the driving force. Practically it is invisible because it disappears through a variety of financing methods that hardly ever involve individual investors. 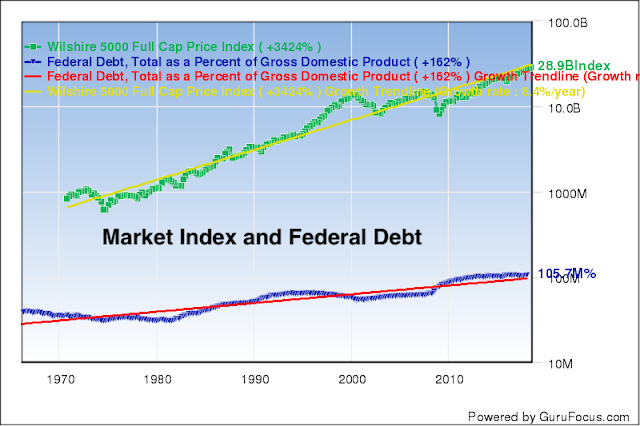 Debt is monetized trough an accumulation of bonds by various government agencies as well through purchases by foreign holders. Dividends have been steadily declining from over 5% to the current level of 1.6%, which is below the rate of inflation. The significance of this trend is that investors are pushed to betting on increased returns from stock market appreciation which is what the trading organizations favor because that generates increased fees and commissions. Current equity prices on the stock market, realized by investors, have become divorced from underlying earnings that used to be reaped by shareholders. 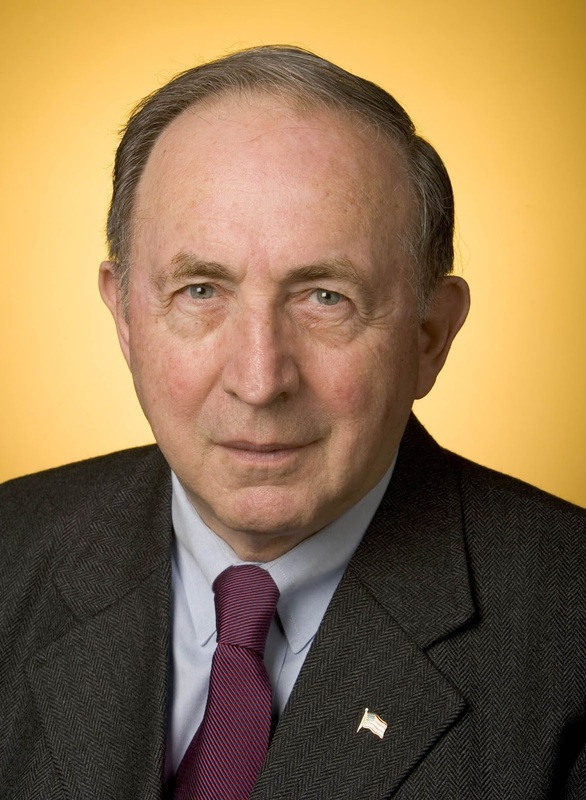 Instead, rising injections of debt have been used to favor large gains by a small groups of shareholders. None of this reflects conditions of the economy which has always depended on a rise from profitable investments. In a follow-on blog we will try to assess the competitive conditions of the USA. Meanwhile, we must conclude that the stock market driven economy is increasingly driven to speculation on debt-propelled profits from the stock market. This is a scenario that does not promise the continuation of the USA as the most prosperous nation in the world.